Ashton Woods is leading the way in its luxury Atlanta new homes communities to be ENERGY STAR 3.0 compliant by January 1, 2012. The national builder – based in Atlanta – is working to ensure that all homes that will be ready to close after the first of the year will receive the government designation for energy-efficiency. Ashton Woods is not new to the eco-friendly homes market. In Atlanta, it is the biggest builder of energy-efficient homes, building more than 2,100 ENERGY STAR rated homes since becoming a 100 percent ENERGY STAR partner in 2002. Last year alone, 319 ENERGY STAR homes were built. The new, more stringent qualifications will ensure that homes are designed to be energy-efficient from the planning stage. While energy-efficient appliances, heating and cooling systems will be utilized, the designation will look for much more than that. Ashton Woods Homes has spent a considerable amount of money, time and training to ready all of its employees for the new guidelines. Currently, it’s ENERGY STAR homes are qualified under version 2.5. In addition to the ENERGY STAR qualification, every new home built by Ashton Woods is rated energy-efficient through the PowerHouse Green with Environments for Living Program. Utilizing low-e windows, low-flush toilets and other low-energy features, home buyers can save up to 45 percent on their utility bills. 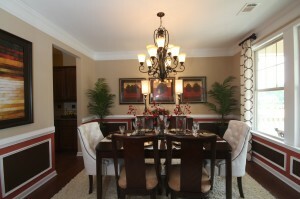 To start searching for your energy-efficient Atlanta home, visit the Ashton Woods Homes website.